French international broadcaster TV5 MONDE is ending traditional satellite and cable distribution. In a statement, TV5 MONDE cited changing viewing habits for the reason why it is discontinuing its current distribution arrangements on Sky and Virgin Media UK, having listened to viewer feedback. TV5 MONDE dropped off Sky channel 717 on Friday afternoon. The channel is due to leave Virgin Media UK in January 2019. As a replacement, viewers are being invited to access the channel's live and free HD web stream, with French and English subtitle options. 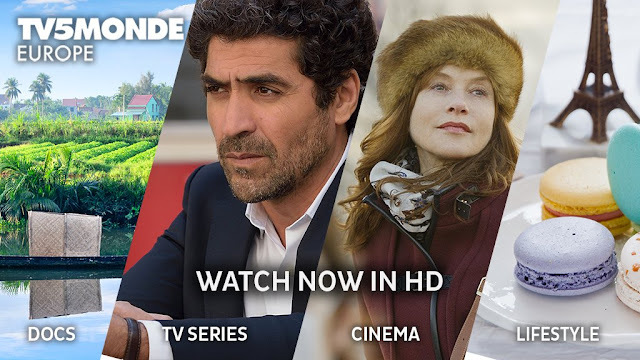 TV5 MONDE's Europe feed contains a mixture of news and current affairs programming alongside general entertainment and factual shows from French broadcasters around the world. It was one of the first channels to broadcast around the world via satellite, giving some viewers their very first taste of French-language television. French speakers can still access TV5 MONDE and the full set of French domestic television channels using a TNTSAT or Fransat receiver (free-to-view access card required). The Astra 1 satellite cluster at 19.2 E carries all the main French channels via TNTSAT, as well as the Europe and the France, Belgium and Switzerland versions of TV5 MONDE on a free-to-air basis. A European satellite set-up is required. While Brexit hasn't been mentioned as a reason, current rules allowing UK licensed broadcasters to broadcast across the EU and EEA countries under the same licence and broadcasters licensed in remaining EU or EEA countries to broadcast in the UK on a single licence are set to come to an end in March 2019. Sky has warned broadcasters who transmit to the Republic of Ireland on their EPG that they will need a separate licence to broadcast in Ireland after March. For some niche broadcasters, that might not be worth the regulatory hassle. Image credits: TV5 MONDE / TV5 MONDE live stream screenshot.